Since the release of the Game Boy, Nintendo has ruled portable gaming. 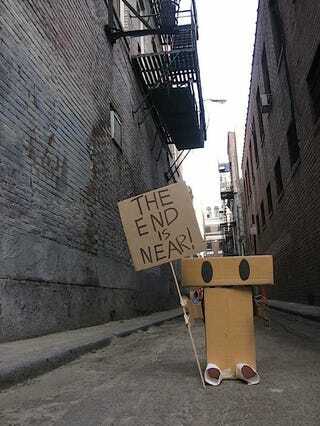 That era is over, says Masato Kato, the writer of FFVII, Xenogears and Chrono Trigger. But why? "With the iPad going on sale, the epoch of Nintendo is finished," Kato tweeted. "But with the DS and the Wii, it's been digging its own grave." Kato, who is now a freelance writer, recently contributed the script for Nintendo DS title Shiren 4, which went on sale this past February. Before that, he worked on a couple of the "Mana" series titles for the DS. Nintendo will be showing its new glasses-free portable device, code-named the Nintendo 3DS, at this year's E3 gaming expo in Los Angeles.